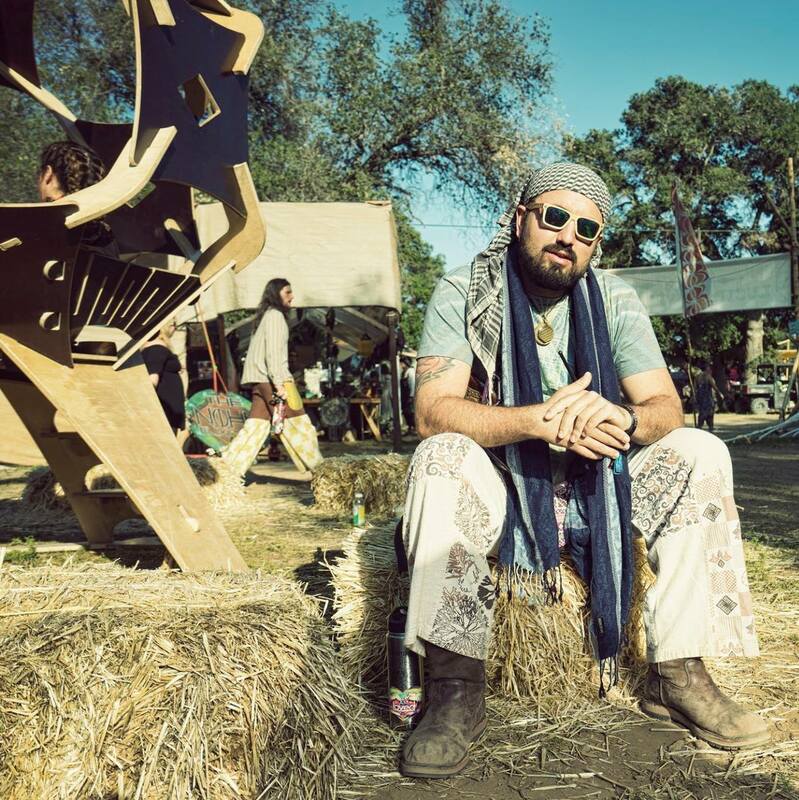 We sat down with Jonah Gabriel Haas, Marketing Director and Co-Founder of Lucidity, who has been integral in dreaming up the Deja Vu concept, to ask some more questions about what we can expect at this new Autumn campout produced by Lucidity. Q – Why Deja Vu? A – Why not? 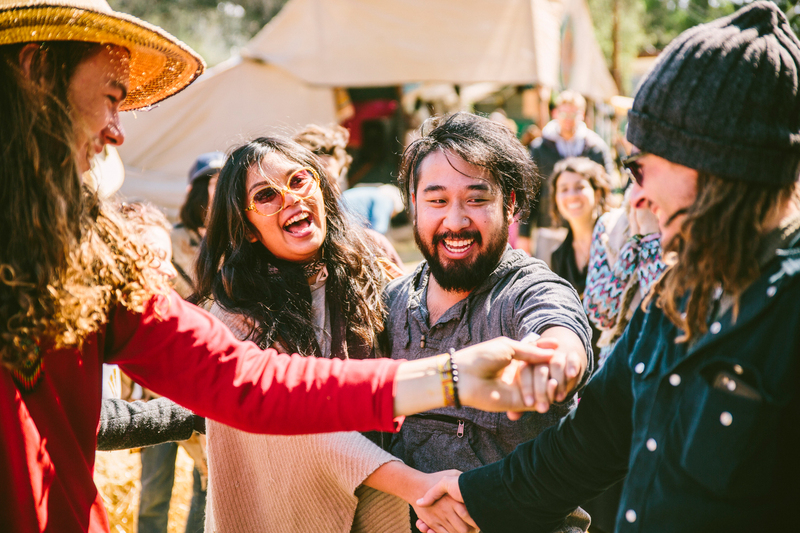 We wanted to create an event that both celebrates autumn and that harkens back to the days before Lucidity Festival, when the Santa Barbara arts and music scene was all about renegade mountain parties, immersive Fishbon theatrical extravaganzas, and Burning Man camp antics. Deja Vu will have a little bit of all of these components, with a dash of the Lucidity zeal you’ve come to know and love. Since the concept of Deja Vu is sometimes talked about like it’s a quick memory of a forgotten dream, and since the concept is one of those great mysteries of the human experience, we figured it would be a perfect name for this event! 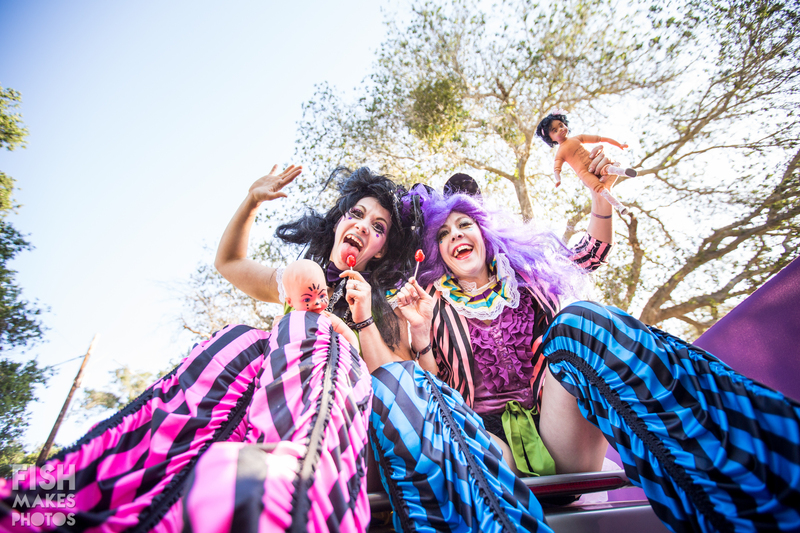 We recognize there are a ton of festival options out there for people… almost a festival every weekend on the West Coast these days… so we set out to create something completely different. We’re calling this event a Live Action Role Playing Mystery Theater Experience. We’re keeping it a small intimate Invite-Only private campout, without all the crowds and fanfare of Lucidity Festival but with all the magic, connection, and spontaneous fun. It’s going to be a hoot! Q – What do you actually mean when you say Deja Vu is a “Live Action Role Playing Mystery Theater Experience”? A – Well, for one, every participant is invited to come to Deja Vu embodying a character. This character, what we are calling your “Life-not-Lived”, is received by consulting our Crystal Ball Oracle. This concept came from a delightful event produced by Fishbon in 2010 called Twisted Village, which was an absolute delight! That’s the Live Action Role Playing part, which we just know will create tons of spontaneous magic as interesting personalities cross paths with one another. Then there’s the Mystery Theater part. For this imagine a Murder Mystery weekend, just without the murder. There will be interactive theater woven into the event, and an invitation to participate in the playing of the Labyrinth Games. There will be riddles to solve, quandaries to figure out, and a clever few may just win Deja Vu! The details of the games will be revealed to participants in proper timing… it is meant to be a mystery afterall! Q – How does Deja Vu fit into the larger Lucidity storyline? A – Well, on a superficial first glance level, it doesn’t. 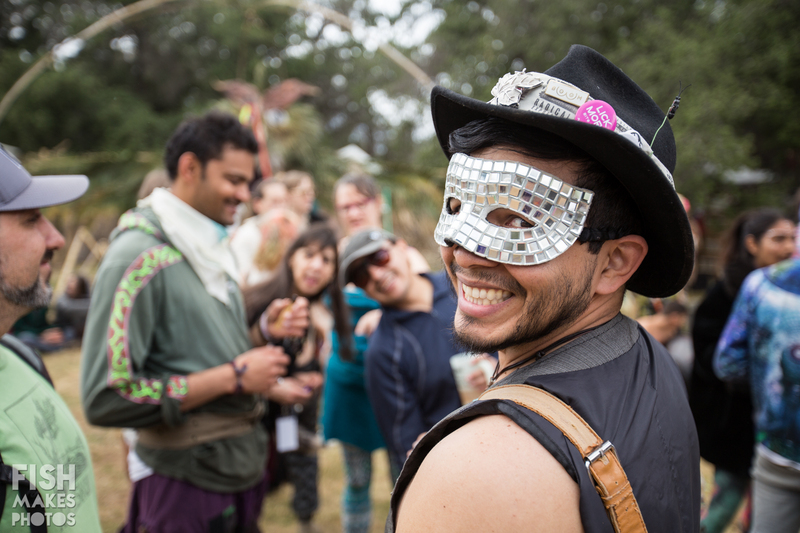 As many know, Lucidity Festival, our large April event, has been telling a multi-year story. From 2012 to 2017, this story was composed of 2 trilogies, or 6 chapters, which found its conclusion this year with Eudaimonia. Since then, Lucidity producers have heard the clear call from the Lucid Family to “Please don’t stop, the world needs Lucidity now more than ever!” Ultimately we aim to please, and we recognized that the epic mythic story we’ve been telling doesn’t find it’s natural conclusion at Eudaimonia. After Personal Transformation (chapters 1, 2 and 3) and Collective Transformation (chapters 4, 5, and 6) comes Global Transformation, and so we are writing the next Trilogy, chapters 7, 8 and 9 around this theme! Chapter 7: Rising Dawn is set to ‘Awaken the New Story’ in April 2018! Deja Vu as an event, is on a fundamentally different arc, or in a different Universe that this Lucidity Festival arc. However… the longer, more complete answer to the question is: We don’t really know. Everything about Deja Vu is a mystery. When we feel deeply into it, YES… perhaps Deja Vu DOES relate to the Lucidity story arc. Just as the spring is about life returning, about rebirth, and creativity, Autumn is about going inward, coming to the end of a yearly cycle, celebrating the harvest. So perhaps Deja Vu is like the Yang to Lucidity’s Yin, the shadow to Lucidity’s light, the exploration of that ‘otherwhere’ place that we know exists just on the other side of the veil, but is so difficult to pin down with verbal explanation. While Lucidity Festival is all about Awakening within the Dream, perhaps Deja Vu is about the dreams we dream while we’re awake. If Deja Vu continues beyond this inaugural year, it will be fascinating to see if a yearly meta-narrative emerges for it out of the creative ethers. Q – Sounds Rad. How do I get an Invitation? A – In order to get an invitation you must first consult the Crystal Ball Oracle… you are welcome to consult the oracle HERE, NOW! Q – What are the Labyrinth Games? A – We cannot reveal the details of the games at this point in time. Know that like most games, and like a proper labyrinth, there will be levels to pass through, each with their own objective. The objective of each level is gleaned by successfully completing the previous one. The only thing we’re sharing as of now is how to step onto the Deja Vu path and receive your invitation to the games. We trust you’re smart enough to at least do that! Q – Do I really have to stay in character? Do I really have to play the game? A – We can’t make you do anything, and you are ultimately the creator of your experience. Deja Vu will be set up to be a great time regardless of whether you decide to play along in the game we’ve devised or choose your own adventure or just kick it with the Lucid Family. There will be music and theme camps and delicious food to keep you happy on or off the Deja Vu path. But would we go through all this trouble to create a magical adventure for you if we didn’t want you to play along? ?